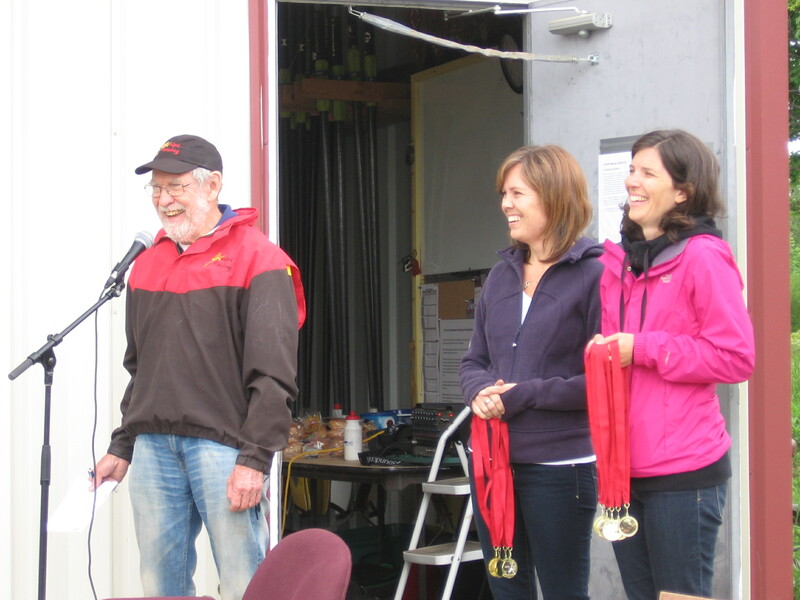 The 4th annual Mike Jenkinson Memorial Regatta was held on Saturday June 7, 2013. This year we started a new tradition by inviting neighbouring rowing clubs. In the morning, rowers were greeted by dark, threatening clouds which persisted all day. However, the atmosphere below was light and fun-filled, with calm water and a mild temperature for racing. Crews of eight were matched according to gender and rowing experience by drawing names from four hats. Some rowers were from the Cambridge and Kitchener clubs and all the categories – Masters, Seniors, Recreation and Highschool – from our own club. Before the speeches of welcome and the first race there was a buzz of excitement as people mingled and talked to members of Mike Jenkinson’s family, some of whom made the trip from Peterborough and Burlington for the occasion. The word “teammates” sums up peoples’ enthusiastic comments about the occasion; there was a genuine feeling of camaraderie, so much so that our visitors are asking to get together as clubs again in July! Thanks to James White who did an awesome job of organizing the event, Pam Healey who lined up the volunteers, Jane McKinnon-Wilson who organized the food, our trio of BBQ cooks (Al, Gerarda, Jim), Mike Jenkinson’s family, and all the participants.